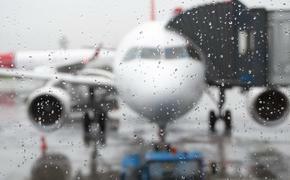 Chicago air traffic control operations might not return to normal until Oct. 13, the Federal Aviation Administration reported late Sunday. The airports in Chicago gradually restored service on Sunday as the FAA began rebuilding the communications systems destroyed in an inexplicable act of sabotage early Sept. 26. The FAA said O’Hare International Airport operated at about 60 percent capacity on Sunday, while about 75 percent of flights operated at the smaller Midway Airport, where Southwest Airlines is the dominant carrier. “The FAA expects a substantial increase in operational capabilities by Monday,” the agency said. About 732 flights into and out of O’Hare were cancelled on Sunday, according to the website FlightAware. United cancelled about 200 flights but expected to operate about 400 scheduled departures. American cancelled 269 flights. Southwest cancelled about 60 flights from Midway on Sunday and anticipated about a dozen departing flights per hour, compared to the typical 25-30 flights per hour. All three airlines were letting passengers rebook with no change fee, within certain parameters. 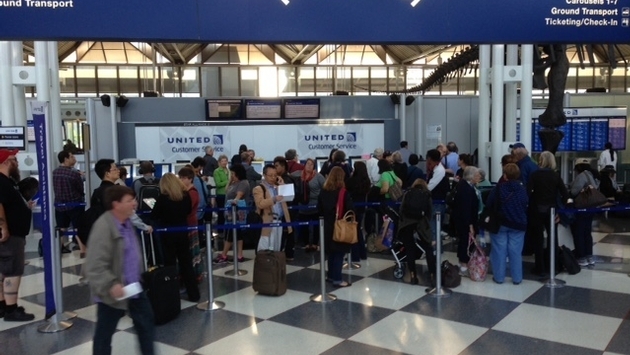 From a passenger perspective, O’Hare appeared somewhat normal at about 8 a.m. Sunday morning, said Patrick Herrick, a regional sales manager flying to New Orleans. In United’s Terminal 1, he noticed about 50 people in line at the airline’s customer service desk, while the flight board showed roughly half the flights were cancelled. But check-in through the PreCheck line was a breeze, he said, and there was plenty of space in the remote parking lot. Air traffic in Chicago area was halted early Sept. 26 after a fire at the FAA facility in Aurora, Ill., destroyed communications systems and the ripple effect disrupted flights across the country. Flights were gradually restored over the weekend as operations were handled by air traffic facilities in Cleveland, Indianapolis, Kansas City, and Minneapolis. Workers from Aurora were sent to work at the FAA facilities in Elgin, Ill., as well as those other Midwest centers. The communications equipment at the Aurora center was so heavily damaged that the FAA is completely replacing it in another part of the same facility. The FAA tried to dry out the water-damaged equipment and to clean and sanitize the area after “a fire and attempted suicide in the telecommunications room” that was reported about 5:40 a.m. Friday. An FAA contract worker, Brian Howard, 36, of west suburban Naperville, was charged with destruction of aircraft or aircraft facilities, confirmed the U.S. Attorney’s office in Chicago. No additional charges have been filed as of mid-day Sunday, and a court appearance has not been scheduled, a spokesman said. Howard, who was terminated, had been a field technician for about eight years for Harris Corp., a $5 billion global communications company based in Melbourne, Fla., that is one of the FAA’s biggest contractors, company spokesman Jim Burke told Travel Pulse. Harris was modernizing the telecommunications systems at the Aurora facility and other FAA centers. Howard remains hospitalized under police guard after suffering from self-inflicted stab wounds, said Special Agent Thomas J. Ahern of the Bureau of Alcohol, Tobacco, Firearms and Explosives. Ahern said gasoline was used to start the fire and that it appears the suspect also cut wires in the communications equipment.